Underneath much of life’s problems is an ancient enemy – fear. It is at the bottom of most negative emotions, the ones that infect our lives and undermine our happiness. Fear is at the bottom of anxiety, depression and the problems of daily living that keep knocking us off the road to happiness. Whatever disguise fears are wearing, we each have our own special boogeyman, there seem to be two primary species of fear. This is not a new idea, I heard it a long time ago in a self-help meeting, but the more I have thought about it, the truer it seems to me. We are usually either afraid of not getting something we want or afraid of losing something we have. Most often we are afraid of not getting something we want. The fear that you will not get your needs or desires met is a powerful one. Unfortunately the more we have the more we need. Think about stalkers here. They become obsessed with wanting someone, usually someone that is out of reach. I know there are stories about someone who pursued a romantic interest over a long time and much difficulty and in the end, the relationship happened. But once your intended romantic partner has gotten married, had children and gotten a restraining order against you, it is time to give it up. Some people try so hard for a particular job only to fall into a deep depression when it doesn’t come through. Wanting a career is wonderful. Pursuing your dream is great. But what will happen if that doesn’t pan out? You might be surprised at how many kids tell me they plan to go into major league sports. Most don’t make it. Some can’t make it and it ruins their whole life. What is really sad is when they become so fearful about failure that they self-sabotage and destroy their chances. Ever hear the story of – well the name doesn’t matter – He was so sure his girlfriend was going to break up with him that he broke up with her first. Do you ever do that? Let your fear get control of you and destroy your chances before they began? Therapists see some very sad cases of this fear. We see people who are not happy when alone, jump into a relationship because they are afraid that they will never be happy without a partner. Often they settle for a partner, any partner, and a relationship that is far short of what they wanted or deserved. Not surprisingly, to their counselor, they find that their partner is not happy either. Two unhappy people rarely make a happy relationship. The second big cause of fear: We can be so in fear of losing something we have we forget to notice what we do have. We old people have trouble keeping up. Two kids are sitting on a bench, each busily texting, neither one is speaking. I look over their shoulders. What could be so engrossing they don’t have time to talk? They are texting each other. I remember a time when my grandparents got a phone. Not everyone in the town had one. They felt lucky to be one of the first families to have one. I see a teen come into the psychiatric hospital, she cut her wrists, her parents had taken away her cell phone and she felt she had nothing to live for. An old saying, only the rocks, and the hills are forever. Today with strip mining that may not be true. But we can get so into fear of losing something we miss out on the joy of having it. Remember in a hundred years not very many people, maybe no one will remember. For everything we have, we probably gave up something else that could have been. Yes eventually that old car of yours, the one you saved to buy, it will break down. Keep it in the garage and never drive it and it will not get wrecked until your descendants take it out and drive it if it still runs then. So have your fears controlled you? 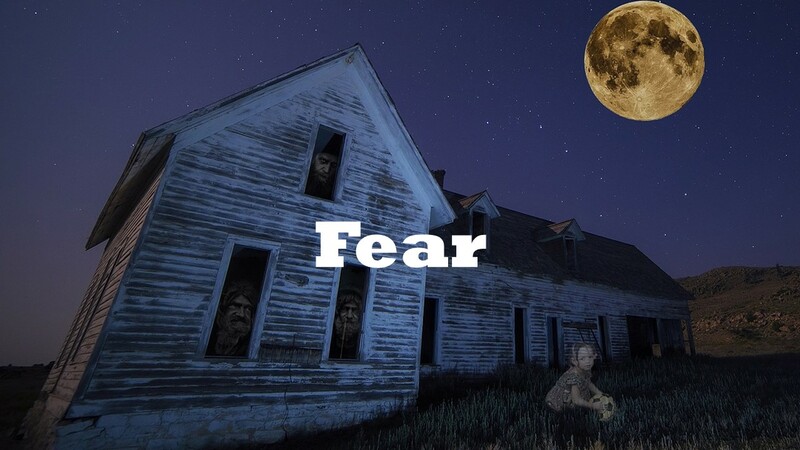 Do you fear you won’t get something you want and does that lead to anger, depression or anxiety? Is that fear keeping you from trying? Do you fear losing something so much that you can’t enjoy what you have? Is it time to challenge your fears? Don’t let fear keep you from having a happy life. This entry was posted in Mental Health and tagged Counseling, Depression, Fear, Mental Health, Mental illness, negative emotions, Recovery, Resilience, romantic partner, Self Help by David Joel Miller. Bookmark the permalink.